Apple MFi Certified Lightning cable, 100% compatible with iOS 9 without any warning message. 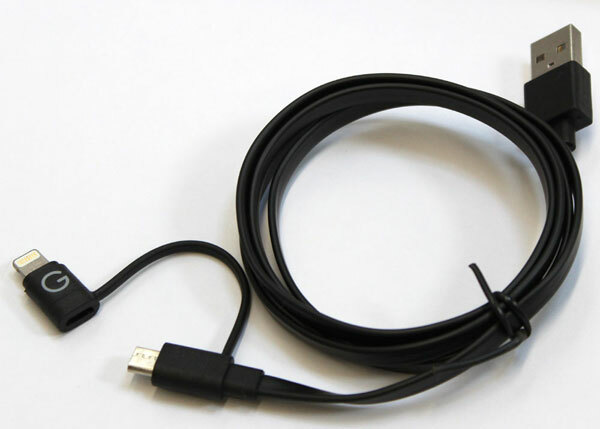 3ft 2in1 ( micro USB connector with 8 pin adapter) design makes the cable compatible with both Apple system and Android system phones and tablets. 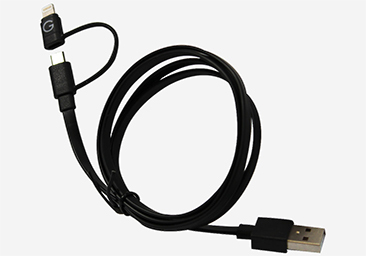 Micro USB adapter is compatible with Samsung Android systems, including Galaxy Tab, Tab 2, Tab 3, Tab 4, Samsung S2, S3, S3 mini, S4, S5, galaxy 3, galaxy 4, galaxy 5, Amazon Kindle, Kindle Fire, HD, HDX, Nook, lg Google Nexus 4, 5, 7, 10, and many tablet and mobile devices, with the exception of Asus Transformer. 8pin Lightning connector is compatible with iPhone 5, 5c, 5s, iPhone 6, iPhone 6 Plus, iPhone 6s, iPhone 6s Plus, iPod Nano 7, iPod Touch 5, iPad4, iPad5, iPad Air 2, iPad Air, iPad Mini 3, iPad Mini 2, iPad Mini Retina. Great to use in the car or at home, excelent travel companion. 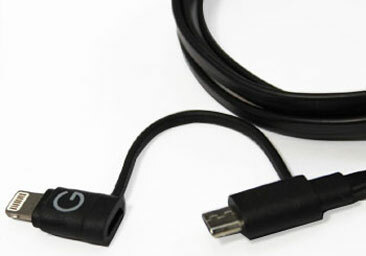 Durable flat noodle cable prevents tangles.